Presidio's historic Fort Winfield Scott might be repurposed as a "Campus for Change"
On March 15, 2019 in San Francisco, California, the Presidio Trust received a proposal for repurposing and renewing historic Fort Winfield Scott, a 30-acre site at the foot of the Golden Gate Bridge within the Presidio National Park. 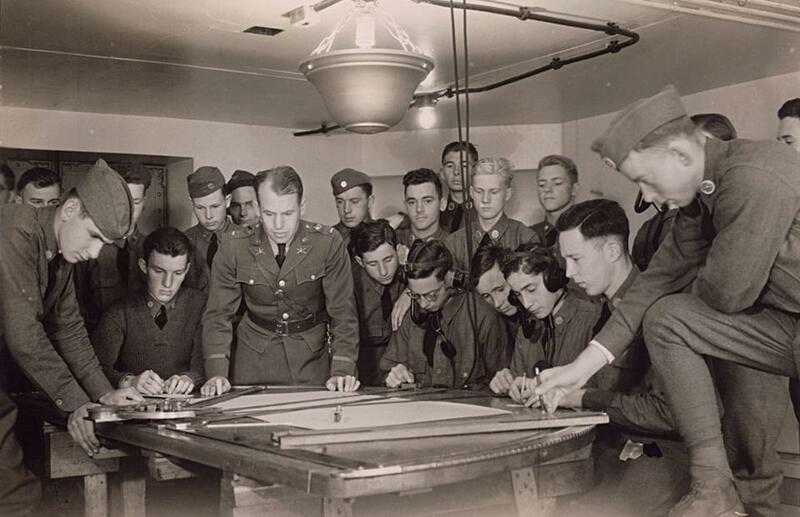 Plotting Room activity during WWII. Fort Winfield Scott, named for the most prominent U.S. Army officer of the 19th century, was initially established as an independent post for the Coast Artillery Corps. 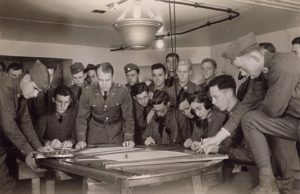 While located within the Presidio Army post, Fort Winfield Scott functioned separately with its own commander until after World War II. Over the course of half a century, it served as headquarters for the defense of the Bay Area’s coastline, from the era of breech loaded, rifled guns to Nike missiles. 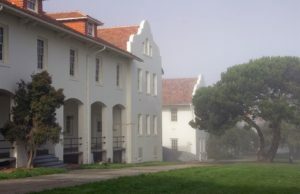 Constructed between 1909 and 1912, the Fort Scott barracks feature the earliest example of the Mission Revival architectural style at the Presidio. Several organizations joined together to respond to the Trust’s Request for Proposals (RFP) seeking to transform Fort Winfield Scott into a “Campus for Change” addressing the significant environmental and social challenges of our time. They are the World Economic Forum, Equity Community Builders, Epicenter for Climate Solutions, OpenAI, Lela Goren Group, and The We Company. The Presidio served as a military installation from its establishment in 1776 as Spain’s northern-most outpost of colonial power in the New World, later passing to Mexico and then the United States. In 1972, Congress created one of the world’s largest national parks in an urban setting – the Golden Gate National Recreation Area (GGNRA) – and declared that the Presidio would be part of the GGNRA should the military ever leave. At the end of the Cold War in 1989, Congress decided to close the Presidio. Its 218-year tenure as a military post ended in 1994 when the U.S. Army lowered its flag for the last time and the Presidio became a national park. Since then, the Presidio has undergone a “post to park” transformation. The Presidio Trust, the National Park Service, and the non-profit Golden Gate National Parks Conservancy have built 24 miles of walking and 25 miles of biking trails, cleaned up beaches; restored native plants and habitats, and rehabilitated hundreds of historic buildings as visitor destinations, homes, and workplaces. 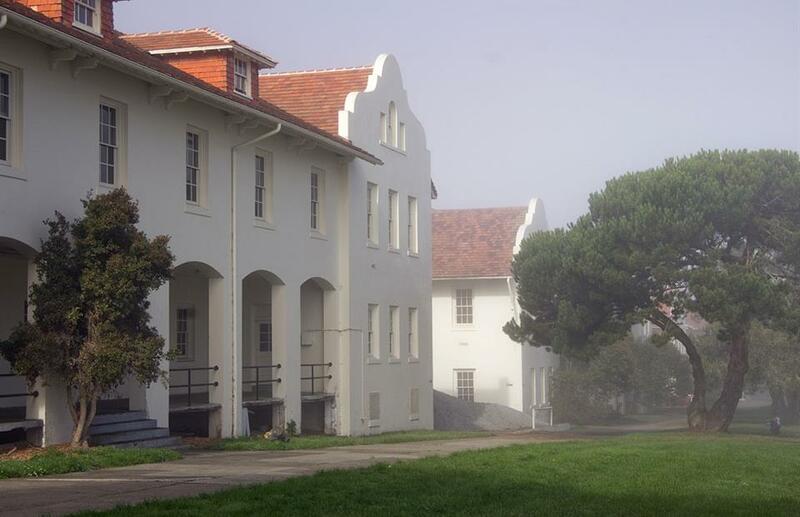 The Presidio Trust board of directors will now evaluate the proposal against the objectives described in its Request for Proposals, which sought a mission-driven project that brings the historic buildings back to life for the public good, models environmental sustainability, and creates opportunities for the visiting public to enjoy Fort Winfield Scott’s history and natural beauty. Only a project that meets these aspirations for the site and its long-term vision for the park will move forward. 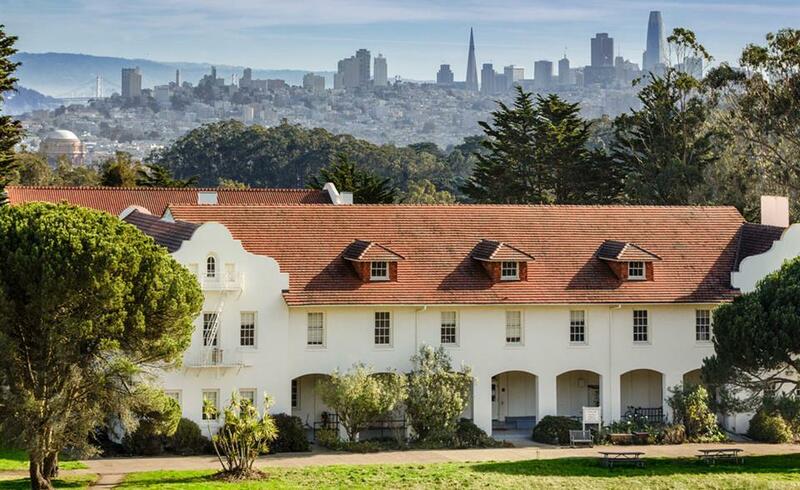 The public is invited to view the proposal on the Presidio Trust website. Written comments may be submitted through May 15, 2019 by email to fortscott@presidiotrust.gov; and by mail to Presidio Trust, Attn: Josh Bagley, 103 Montgomery Street, San Francisco, CA 94129. All photos courtesy of the Presidio Trust. See the full proposal (PDF).